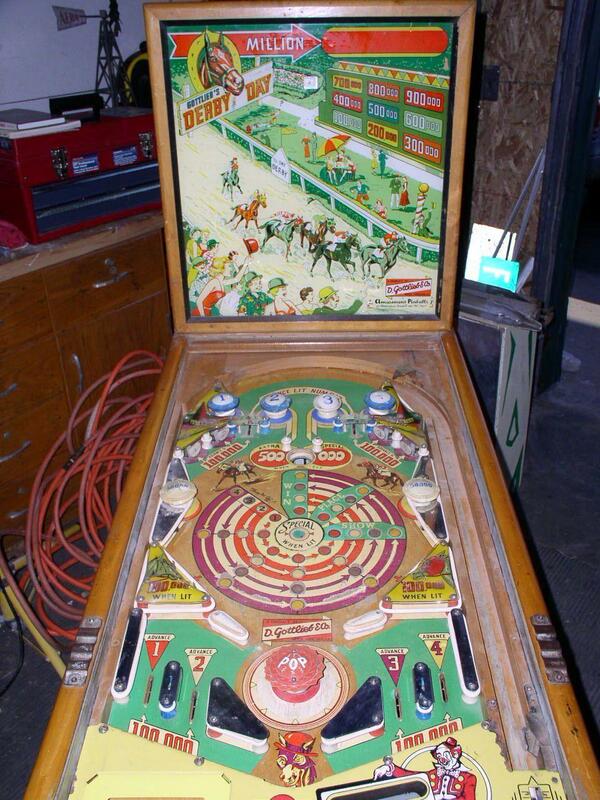 Description: Derby Day, 4/56, 1600 produced, 1 gobble hole, single pop bumper below the flippers, the first Gottlieb 1 player with an integral metal lower ball arch and shooter gauge, can win up to 12 credits. 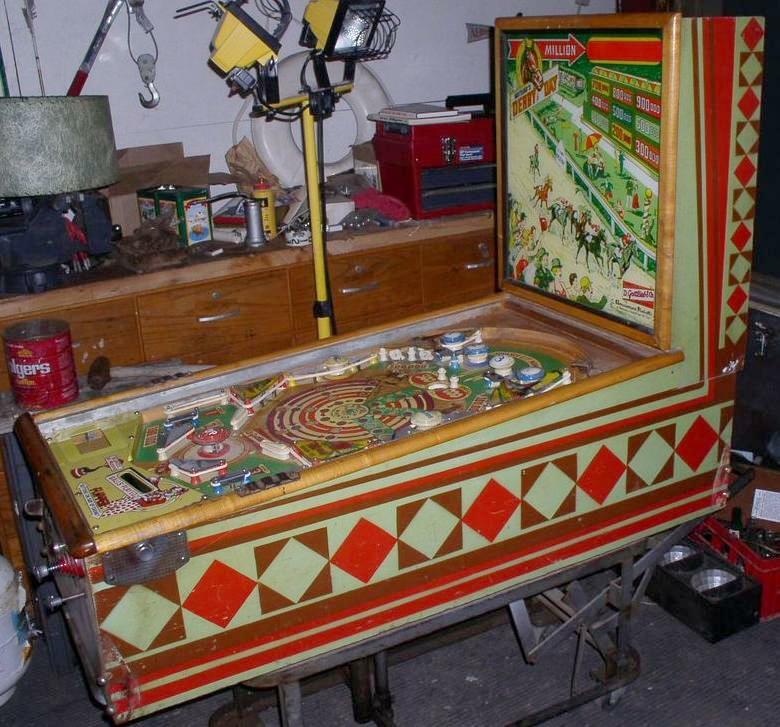 woodrail pinball. Artwork by Roy Parker. 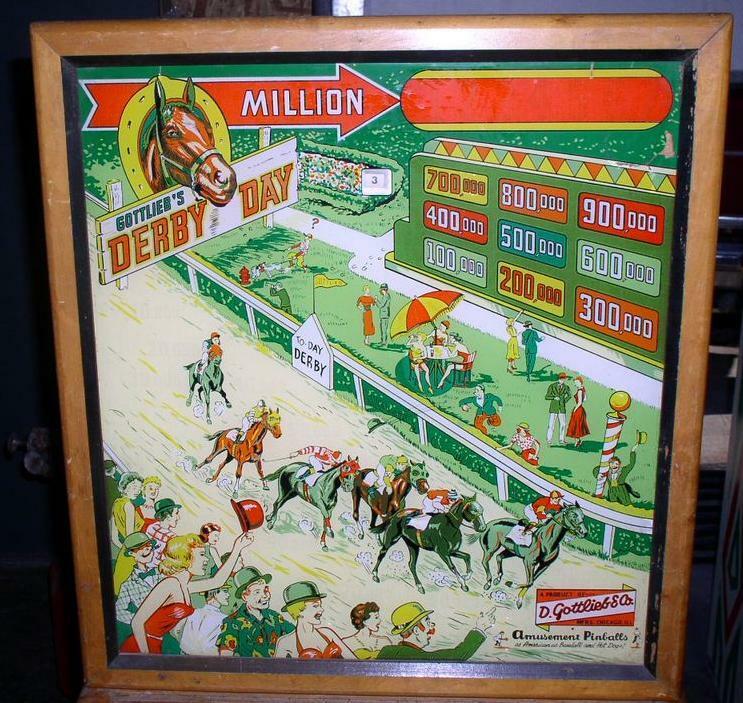 If you have a Gottlieb Derby Day pinball for sale, please contact me at cfh@provide.net.